Morgan State College Football historical fact of dominance between 1962-1968 Morgan State Bears dominated the CIAA CONFERENCE with 6 CONFERENCE CHAMPIONSHIPS AND 1 NATIONAL CHAMPIONSHIP total record during those EPIC YEARS 50 Wins - 3 losses. The Bears of Morgan State College so dominated BLACK COLLEGE FOOTBALL during that period that they took down both black football powerhouses, the FLORIDA A&M RATTLERS in 1965 in the ORANGE BLOSSOM BOWL as well as the MIGHTY TIGERS OF GRAMBLING STATE in Yankee Stadium in 1968. The road to brilliance and excellence in COLLEGE FOOTBALL was situated on the HURT FOOTBALL FIELD in BALTIMORE, MARYLAND. The coach of those teams was the architect of 3 yards and a cloud of dust Earl Banks, who offensive and defensive wizardry was a sight to behold. Not only was Morgan State’s football team the beacon for excellence. It also was the place to be for professional football scouts from both the American and National Football League to find minted diamonds. As a matter of fact, four players for the Morgan State Bears achieved the penultimate of professional football recognition. They have their football bust on display in Canton, Ohio at the National Football League Hall of Fame, Len Ford, Leroy Kelly, Rosey Brown, and Willie Lanier. There should be a bust coming soon for one of the greatest tight ends to play professional football, Raymond Chester. 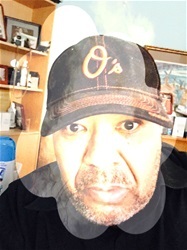 When the story of professional football is written it cannot be written without discussing a Morgan State Bear. During this period of excellence the fraternity, Iota Phi Theta was formed on the campus of Morgan State College in 1963. We have been honored to have a number of players who also pledged the fraternity and performed admirably on the field of play. So many of my Iota Phi Theta Brothers during that period played major roles in those EPIC wins. Including Thomas Tex Dean, George Nock, Jon Sykes, as well as players from the 70’s Mike Collier, Tim Baylor, Angelo Wells and so much more. On October 12, 2017 we will honor those players and well as two remarkable coaches, Edward Hurt and Earl Banks, when these two statues created by one of Coach Hurt and Coach Banks players, George Nock, Class of 1968, Iota Phi Theta Fraternity, Morgan State Hall of Fame is unveiled at Legends Plaza. I assume that many, many former players of Coach Banks and Coach Hurt will be on the scene at Legends Plaza at 10:00 AM. 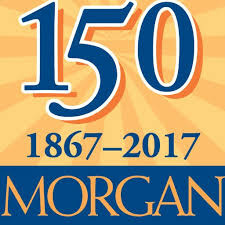 I hope to be there myself to honor the magnificent, brilliant, and golden history of Morgan State University as we continue to celebrate our 150th anniversary.